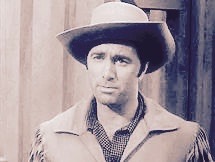 TV western series. In this episode, Jim Bowie helps a man whose wife is pregnant. 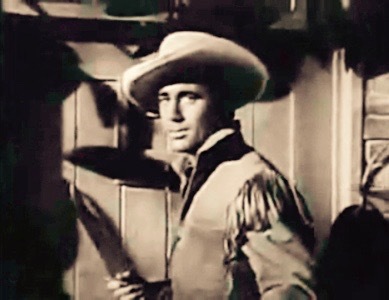 The Adventures of Jim Bowie is an American Western television series that aired on ABC from 1956 to 1958. Its setting was the 1830’s-era Louisiana Territory. The series was an adaptation of the book Tempered Blade, by Monte Barrett. Story lines focused on the exploits of Bowie before he moved to Texas (then part of Mexico), and his death at the Alamo in 1836. During the series’ two season run, Bowie encountered many historical figures of the era, such as President Andrew Jackson, Jefferson Davis, John James Audubon, Sam Houston, and Davy Crockett. 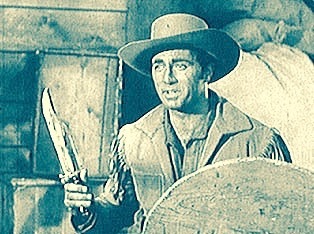 Douglas Brode wrote in his book, Shooting Stars of the Small Screen: Encyclopedia of TV Western Actors, 1946–Present, that Scott Forbes, who had the title role, “stormed off the set” when he learned that the series was being canceled after two seasons, when he had understood that it would run for five seasons. He added, “In desperation, the writers fashioned the final script” without the star. The theme song was “Adventurin’ Man”, performed by the Ken Darby Singers. 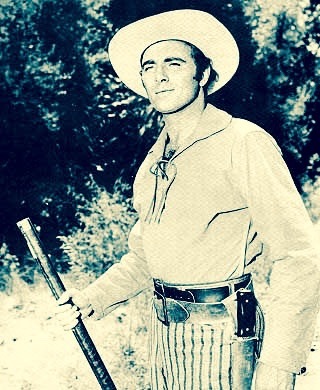 The series’ music was unusual in that it was primarily vocal, provided by Ken Darby and The King’s Men (save for a few episodes in season two).